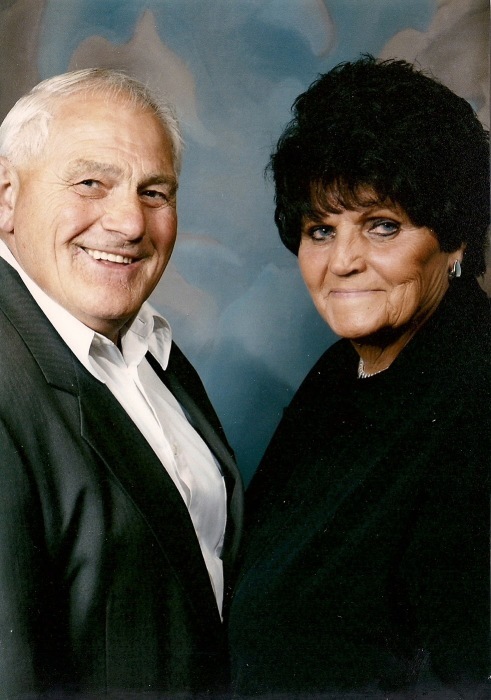 Paul J. Basehore, age 81, of Mechanicsburg, was reunited with his wife while surrounded by his friends and family on Friday, April 12, 2019. Paul was born on Wednesday, March 23, 1938 in Mechanicsburg to the late Frank Elmer Basehore and Velva Mae (Wilt) Basehore. Paul was the widower of Virginia “Maggie” Elizabeth (Calaman) Basehore, whom he married on February 14, 1959, and who died on March 22, 2018. Paul’s survivors include his three children: Vonda R. Brown and her husband, James, of Mechanicsburg, Vicki T. Lantz and her husband, William, of Shippensburg, Todd Basehore and his wife, Kathy, of Carlisle; his four grandchildren: Heather Hiester and her husband, Howard, of Carlisle, Ashley Christenson and her husband, Ryan, of York, Ryan Brown and his wife, Andrea, of Mechanicsburg, Brianna Lantz of Shippensburg; his three great-grandchildren; his two siblings: Gary Basehore and his wife, Faith, of East Berlin, Janice Armstrong and her husband, Jim, of Mechanicsburg; several nieces and nephews; and his three beloved goats. Paul graduated from Cumberland Valley High School as part of the class of 1956, where he played basketball, football, baseball and served as the class president, having been known as, “small but mighty”. He attended Trinity United Methodist Church in New Kingstown. Paul was a former member and chief of the New Kingstown Fire Company. He was a longtime supporter of the Robert L. Finkenbinder FFA Livestock Sale at the Shippensburg Community Fair. Paul proudly served as a lifelong farmer of dairy and crops. He succeeded his father on the family farm in 1972 and worked it alongside his wife until he entrusted the farm to their grandson, Ryan Brown, in 2015. Paul was a generous man and quite the character. He loved being the jokester in any room and making others laugh. Paul’s most shining quality was the strong work ethic he displayed. He was loyal to his family and always took care of them; they were of the utmost importance to him. There was never a stranger in Paul’s life; he truly cared about everyone around him. Even in his final days, he remained strong and sought to make those around him comfortable and laugh. All are welcome to join Paul’s family at his gathering of family and friends on Saturday, April 27, 2019, from 3:00 p.m. to 6:00 p.m. with a memorial service to begin at 6:15 a.m. at Trinity United Methodist Church, 4 West Main Street, New Kingstown, PA 17072; with Reverend Eric Funk officiating. Honored to be the urn bearers are: Heather Hiester and Brianna Lantz. Cremation was private. Paul’s family has entrusted his care to Buhrig Funeral Home and Crematory in Mechanicsburg, (717) 766-3421. Read Paul’s full obituary, view his memorial video, and sign his official guest book at Buhrig.com. There's still time to send flowers to the Gathering of Family & Friends at the Trinity United Methodist Church from 3:00 PM to 6:00 PM on April 27, 2019.